• A meeting to determine what will work best for your school community. Each school is a little different and what works in one school may not work in another. Let's meet to talk about the individual needs and goals of your school. • Viewing of proofs, ordering, and payment are all done online via a secure password protected gallery so there are no envelopes to pass out & collect. • Portrait packages are mailed directly to parents. • Classroom teachers receive a complimentary 5x7 class photo. 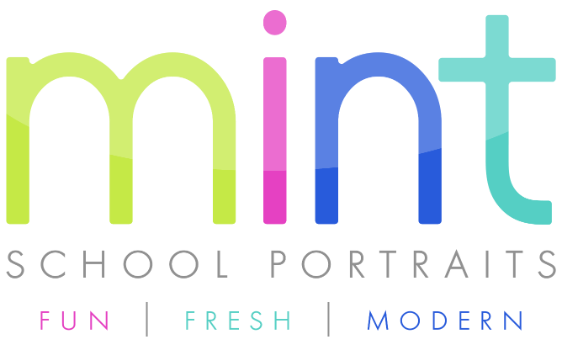 • A variety of session options can be offered from the simple, classic head shot for the yearbook, to 30 minute photo shoot style sessions with indoor and outdoor options. • A variety of sitting, standing, and close up shots. This may vary depending on what the school has contracted MINT to do. • Online proofing and ordering from your child’s private gallery. • A variety of portrait packages to suit parents' needs with color and black & white options. Images are printed by our professional lab into beautiful, high quality portraits or offered to parents as high resolution digital files.